Photographing weddings is, for me, always a pleasure and when close friends ask you to photograph their wedding it is an honour as well as a pleasure. With the met office assuring me of sunshine throughout I made the short journey along the A50 to the Cottons Hotel where Natalie and her bridesmaids had enjoyed her final night of freedom to photograph the bridal preparations. These preparations are the beginning of the story, along with flowers being delivery, make up being applied, hair getting fashioned it is also about making sure I capture some of the smaller detail which will, later on, help create the backgrounds in a bespoke designed story book album. This is the build up to getting the dress on and the beginning of the ceremony. 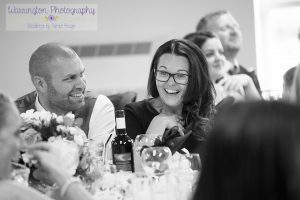 As expected the calm and organised approach Natalie had displayed throughout the build up to the wedding meant the atmosphere in the room was calm relaxed and the girls really were enjoying the start of what would be a spectacular day. With fizz flowing freely there were plenty of smiles and natural laughs which always makes my job much easier. 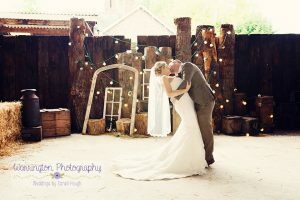 It was then on to Owens House Wedding Barn. 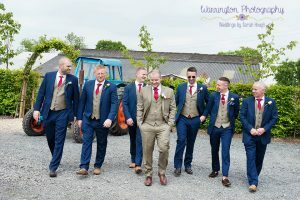 Set in the Cheshire countryside of Moberley this unique and quirky venue oozes personality which is testament to the hard work of Dan and Vanessa and their family in creating such a wonderful setting and then also in coordinating things both before hand and on the day itself. 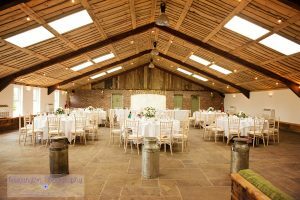 The ceremony room was elegant and characteristic with a wide selection of woods and bench seating all in keeping with the rustic barn feel. The ceremony was, as ever, emotional as Natalies Father, Martin gave Natalie’s hand in marriage to Chris. Prossecco and bottle beers were free flowing in the gardens and whilst guests enjoyed a variety of hand crafted canapes we spent a little time capturing some must have family images together with bridal portraits alongside some lovely natural shots of guests enjoying the afternoon. 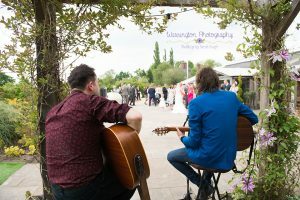 Award winning male vocal acoustic duo Rock my Reception kept guests thoroughly entertained throughout drinks reception whilst back inside the barn final preparations were underway to invite guests back inside for a timeless tradition – afternoon tea. Whilst the sun set on what had been an awesome afternoon the party continued into the evening with a sumptuous BBQ and a great party DJ and the final set from Rock my Reception. I’m Sarah a self confessed diet coke and chocolate addict, and i never say no to a few Gin & Tonic’s. I love spending time with my family and friends they are everything to me! Since a young age i have photographed anything and everything, a passion which came from watching my late Grandad photograph our family. 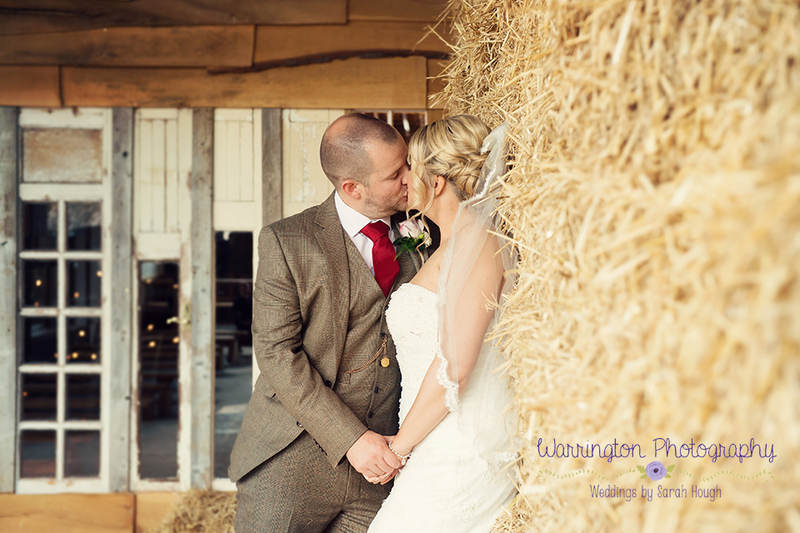 I love capturing the moments which are so important to families from weddings to newborns. 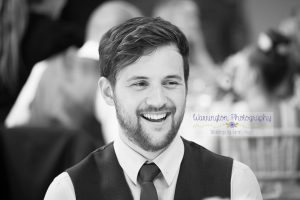 My studio is based in Warrington, Cheshire but i love to travel around the North West to capture weddings in some of the most stunning venues.